Need help connecting Shrimpy to OKEx? 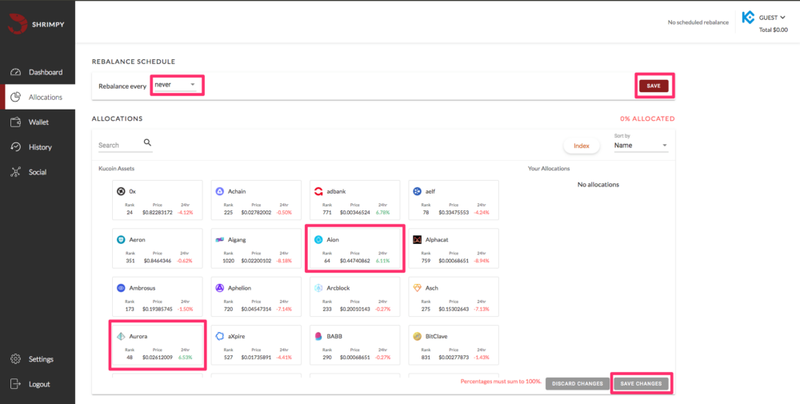 So you’ve got a Shrimpy account, a OKEx account, you know rebalancing could help you, but you don’t understand API keys or how to use them. Keep reading! Shrimpy allows for any number of exchange accounts to be linked to a single Shrimpy account. That means if you want to have 10 OKEx accounts linked to Shrimpy, you are more than welcome. If you want to link 3 Bittrex, 1 Binance, 9 KuCoin, 5 Gemini, 7 Kraken, and 31 Poloniex exchange accounts, this is all possible inside a single Shrimpy account. 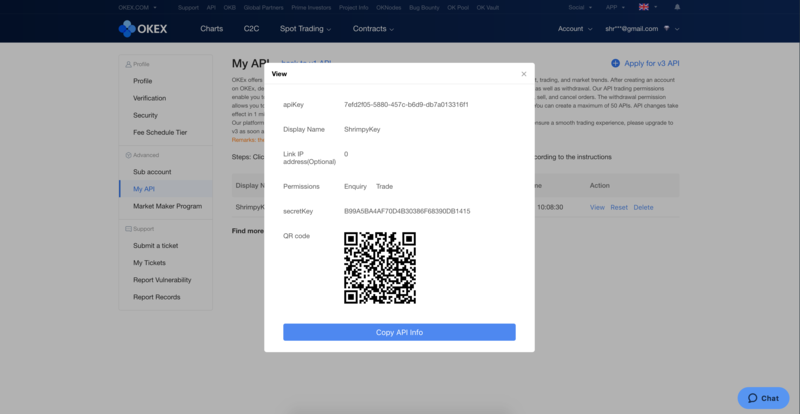 Log into your OKEx account. Once you have logged in, you will see a page that looks similar to the one shown above. You can navigate to your API keys by selecting the menu then "API". 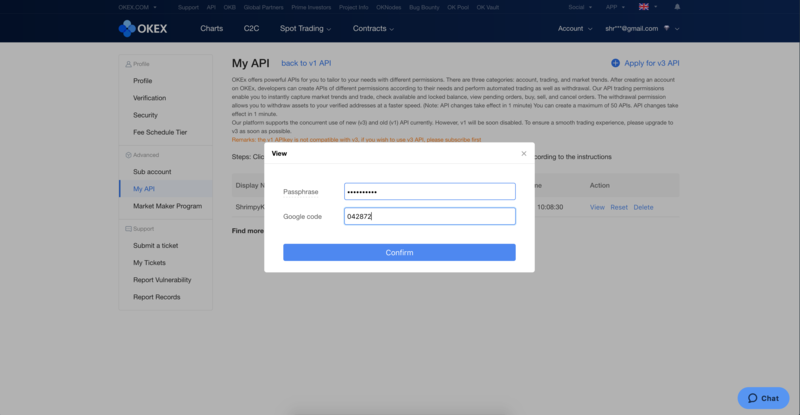 Once you have navigated to the My API page on OKEx, input a display name and passphrase for your key. Also make sure to enable trading for the keys along with "Enquiry" if it is not enabled by default. We do not require "Withdraw" access, so that option should be left disabled. Then click on “Confirm”. You will be asked to confirm the passphrase and Google Authenticator code in order to view the API Key and Secret. Once you have entered these, select "Confirm". 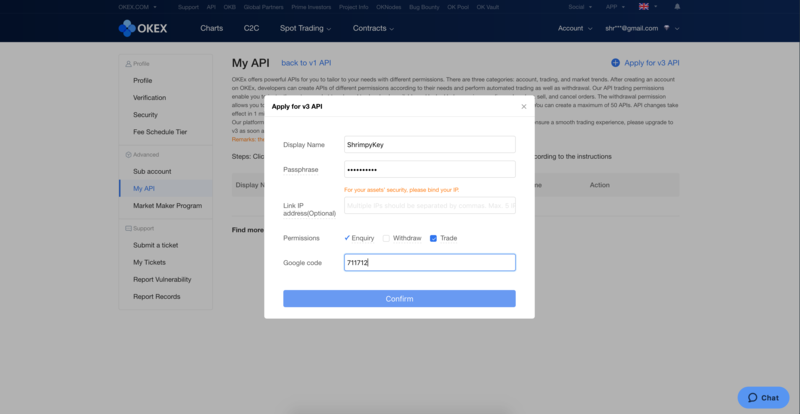 Now that you have the 2 different components for your OKEx API Keys, you can connect your account to Shrimpy. 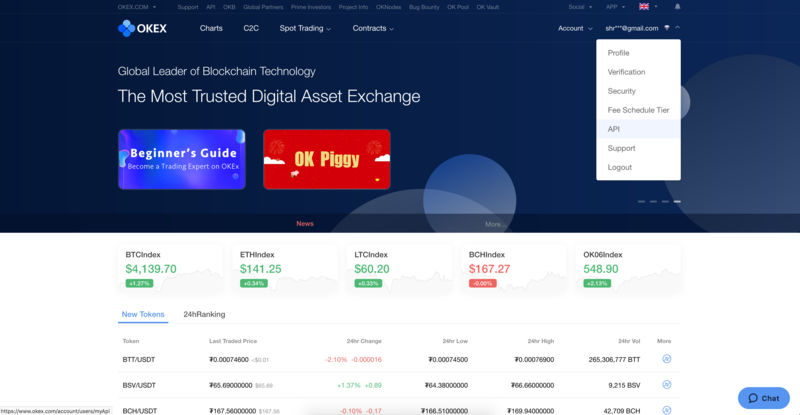 Once you have logged into Shrimpy, select “OKEx” as your exchange and paste your “API key” and “Secret Key”into the Shrimpy application. 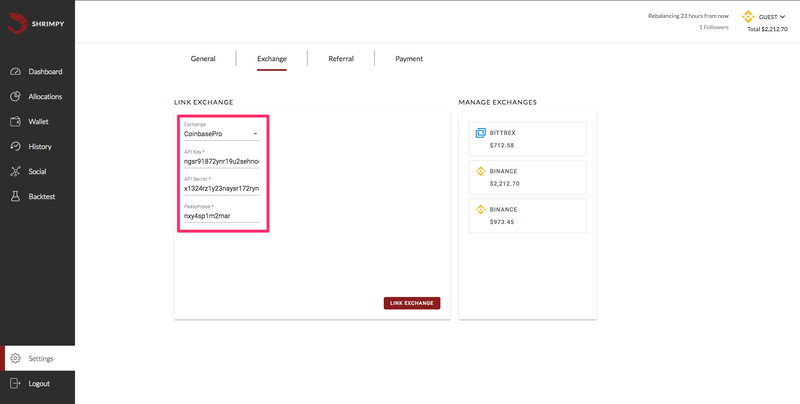 You can find the page to input new exchanges by navigating to “Settings” and then “Exchange”. Once the keys and passphrase have been copied into the correct fields, click the “LINK EXCHANGE” button.